(TibetanReview.net, Apr01’16) – Calling for the teaching of Tibetan language alongside Chinese in Tibetan schools makes one guilty of inciting separatism, according to authorities in Yulshul (Chinese: Yushu) County of Qinghai Province who have arrested a Tibetan entrepreneur for the alleged crime. The entrepreneur, Mr Tashi Wangchuk, 30, could face up to 15 years in prison if found guilty, depending on the specifics of the allegations against him, reported nytimes.com Mar 30. Tashi was detained on Jan 27 and held in secret for weeks. Although Chinese law requires that his family be notified within 24 hours, it was only on Mar 24 that a police officer gave the family a document stating the charge against Mr Tashi and it was dated Mar 4. Tashi’s “crime” was that he had written on his microblog that Tibetans needed to protect their culture and that Chinese officials should aid them in doing so. He wanted Tibetan schools to adopt a true system of bilingual education so that Tibetan children can become fluent in their mother language. 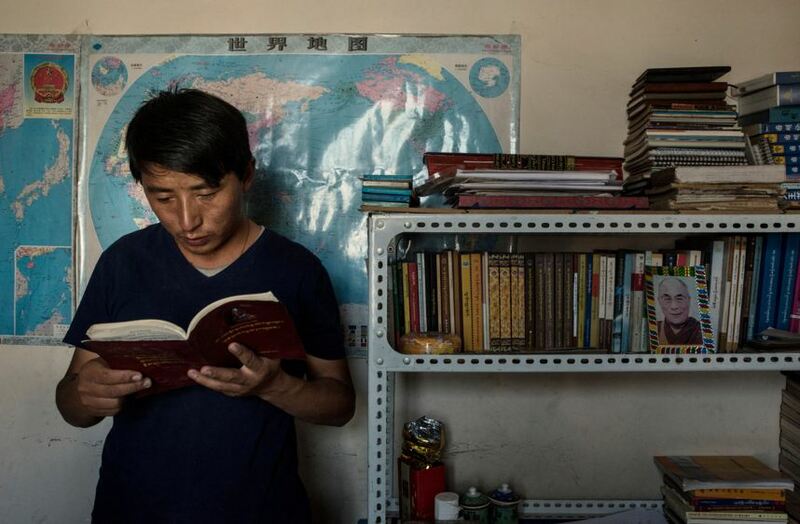 He has said that the dearth of effective Tibetan language education, and the fact that the language is not used in government offices, violates the Chinese Constitution, which guarantees cultural autonomy for Tibetan and other ethnic minority regions. While Tashi has certainly argued for true Tibetan autonomy within China, saying this would help preserve Tibetan language and culture, he was explicit in opposing Tibetan independence. That the case against him is political and the authorities are bent on convicting him for the patently untenable allegation could be gauged from the fact that his family has not been able to find a local lawyer to represent him. Officials have not yet announced a date for his trial. Tashi case is well known internationally. He was quoted on Tibetan language and culture in two articles in The New York Times last year. He was also the main subject of a documentary video by The Times about his attempts to use the legal system to compel officials to improve Tibetan language education, the report noted. Tashi had previously been detained briefly twice. One was while trying to go to India more than a decade ago. The other was in 2012 for posting online comments that criticized local officials over land seizures. For his livelihood Tashi ran a shop in Yushu to sell goods from the region to buyers across China on Taobao, an online platform run by the e-commerce giant Alibaba. In 2014, Alibaba featured Tashi in a video for the company’s investor roadshow before a high-profile initial public offering. The founder and executive chairman of Alibaba, Mr Jack Ma, was the video’s main narrator.